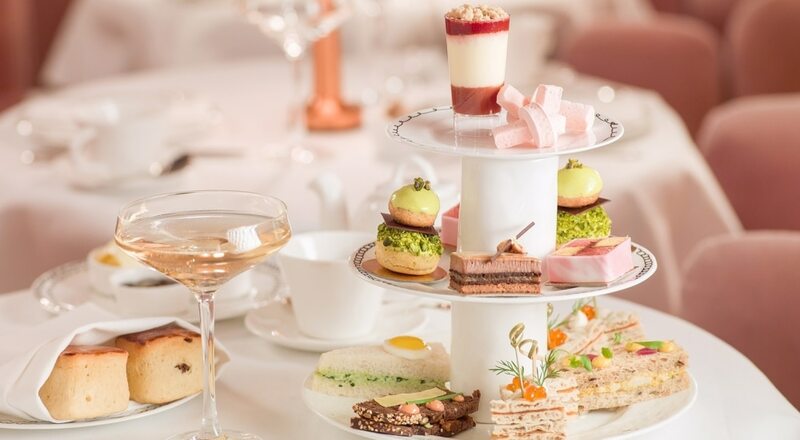 We’ve rounded up some of the very best afternoon teas in London. 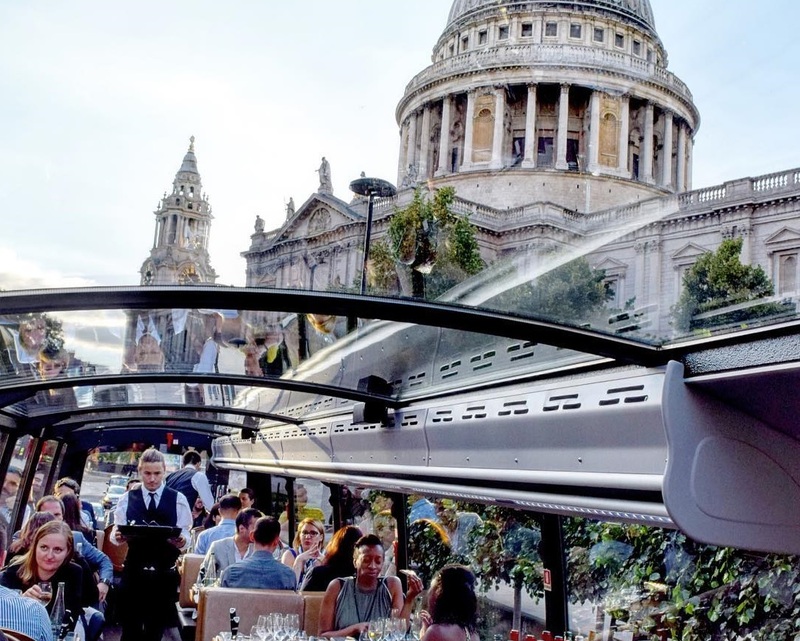 Soon to be your favourite bus route in the city: this one combines sightseeing with a spot of afternoon tea. 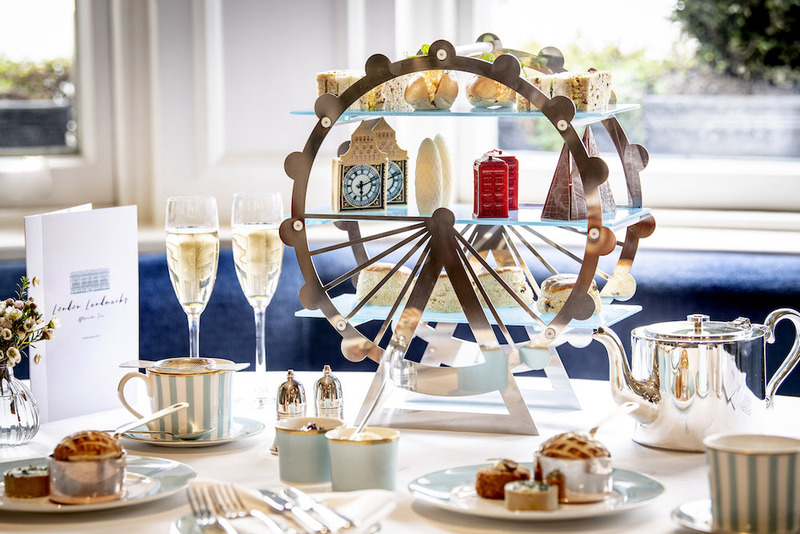 Cruise past London’s famous landmarks as you tuck into a slightly-posher-than-usual afternoon tea, packed with the likes of Egg Florentine, Salmon with Chia Seeds and Avocado, and desserts such as Lemon Meringue Pie, and Fondue au Chocolat with Fresh Fruits and a Mini Madeleine. Where: the bus leaves from London Embankment. Price: £60 (or £72 with Champagne). This afternoon tea is taken in the sublime Kona tea room of the St James’ Court Hotel, which is sure to seriously impress your guest. We’re featuring their Jasmine Indian afternoon tea today, but we wouldn’t be able to mention this place without telling you about their three other intricately-themed teas. Check out the Alice in Wonderland tea and the Sherlock Holmes tea if you’re looking for something a little closer to home. The Jasmine tea however, is seductively different. Featuring cinnamon scones with mango jam, spicy savouries and a fragrant selection of sweet options, all presented with colourful Indian flair. Inside this 18th Century townhouse, you’ll find the playfully pink and pretty Gallery, where afternoon tea is held. As well as being easy on the eye, the delightful treats — including quail’s egg finger sandwiches, puffy macaroons and pastries — are sure to please your tastebuds. Price: tends to vary based on seasonal offers. With a rich history of over 300 years producing and selling tea, there’s arguably no better place to go for a classic and elegant brew. Afternoon tea is served in the Diamond Jubilee Tea Salon (which, we’ll have you know, was opened by HM The Queen herself). You’ll note the running theme of F&M’s famous pale blue and the selection of finger sandwiches and cakes is traditional, as expected. Price: £44 per person, with the option of buying champagne on top. Hush Mayfair’s quintessentially British ‘Gin and Jam Afternoon Tea’ provides the perfect mixture of traditional and new elements. You are welcomed with a ‘tipple’, created with Hush’s own boutique gin, before being served up a delectable selection of sandwiches and sweets. The winning item? The Passion Fruit Jaffa Cake. It’s delicious. 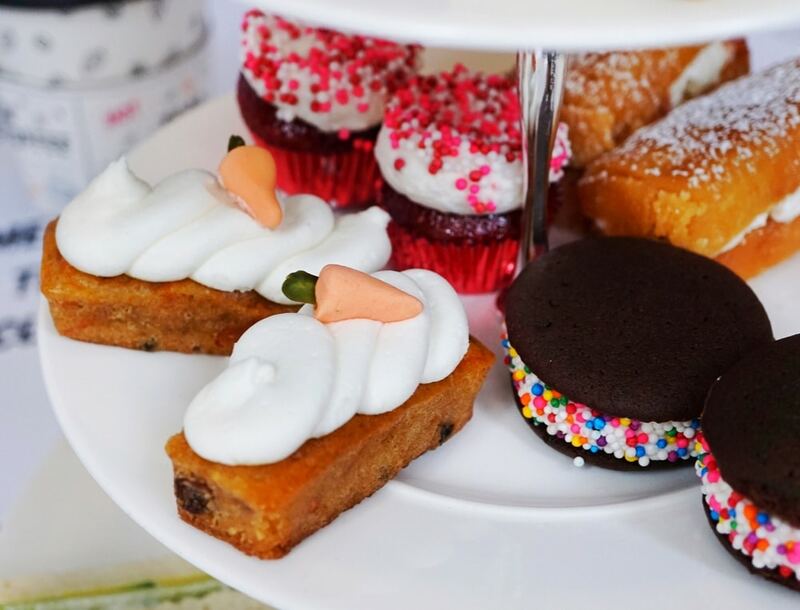 Bringing the power of the plant to finger sandwiches, cupcakes, and scones; this vegan afternoon tea is a very British affair. Tea sandwiches come in veganised egg salad, smoked salmon cream cheese, and cucumber basil varieties. But perhaps the stars of the show are the sweet treats, with an all-star lineup of cakes taking centre stage. Victoria sponge, chocolate whoopie pie, rainbow star scones, carrot cake, and red velvet cupcake all make an appearance on the menu – and there’s not a scrap of dairy in sight. Read all about it here. Where: by CHLOE’s Tower Bridge and Covent Garden branches. Price: £20 per person (plus £7.50 if you’re after fizz). Inspired by Alice In Wonderland and the potions Alice samples, this afternoon tea has been created for the young at heart. The menu comes to you in vintage books and includes unconventional additions such as a smoked salmon Scotch quail’s egg and a mini ham and parmesan Croque Monsieur alongside your scones and whatnot. 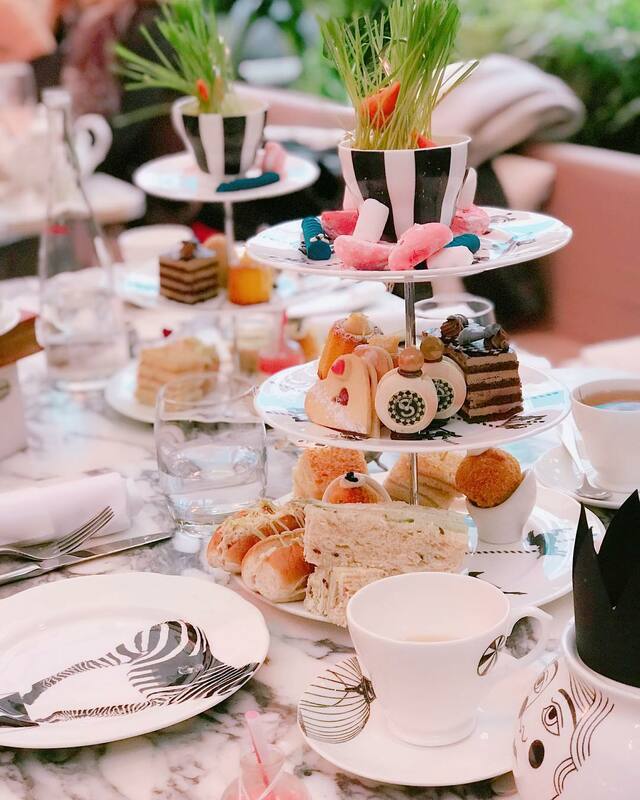 The menu features a mocha chessboard gateau, a Tweedle Dee lemon curd financier, a blue caterpillar made of chocolate and pistachio and even a ‘Drink Me’ potion with cinnamon, apple and peach. Expecto be pretty impressed as you cast spells and concoct edible potions – all before tucking into a spellbinding selection of sweet and savoury, including Yorkshire puddings filled with roast beef and horseradish, classic finger sandwiches, knickerbocker bites, and spectacular drinks served in personal-sized cauldrons. Forget about that Hogwarts letter, you finally have a chance to become the wizard you always wanted to be! Where: Cutter & Squidge, 20 Brewer Street, Soho. It really doesn’t get any more British than gin and afternoon tea on a red double decker bus. (Unless you invited the Queen, perhaps). Jump on board, sip on free (yes, free) cocktails from Hayman’s Gin and tuck into B Bakery’s gin-infused bakes. 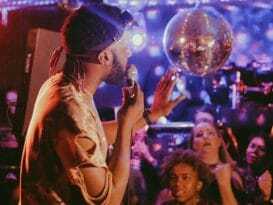 The vintage Routemaster bus will drive past some of London’s most iconic landmarks, so you can get away with calling it a ‘cultural’ outing, even if you’re only in it for the gin. Get ready to make some slightly tipsy memories of That Time I Got Pissed On A Bus And It Was Actually Considered Classy. 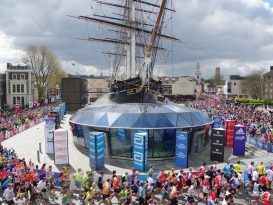 Where: the bus departs from Victoria Coach Station and lasts around 90 minutes. Where: Silk Street, Barbican, EC2Y 8DS. 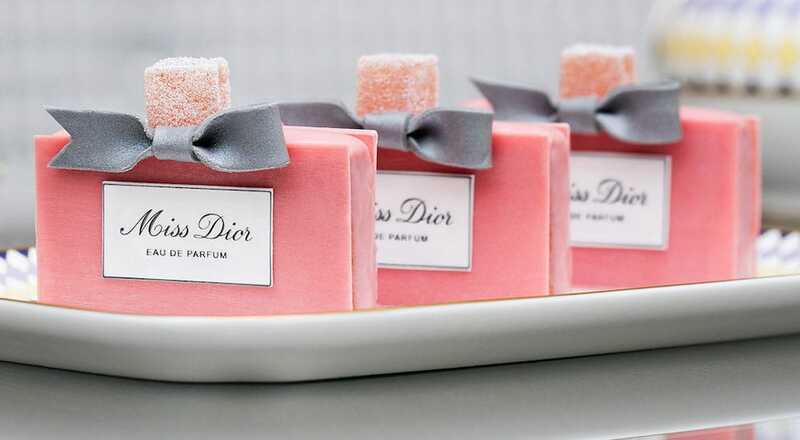 The Berkeley has created a gorgeous afternoon tea in honour of the ‘Christian Dior: Designer of Dreams‘ exhibition. With biscuits, cakes and teas all dressed in Dior, this is surely one of the fanciest teas in town. They’re also able to cater for gluten and nut free diets. Read all about it here. Where: Collins Room at The Berkeley, Wilton Place, Knightsbridge, SW1X 7RL. Price: £58 per person, or £68-74 with extra drinks (depending how fancy you’re feeling). The afternoon tea offering at the Town House at The Kensington is inspired by London’s most famous and historic landmarks. Scoff on the Gherkin, which has been recreated with white chocolate filled with a dark chocolate ganache, or take a bite out of the Shard, made from carrot cake and milk chocolate. 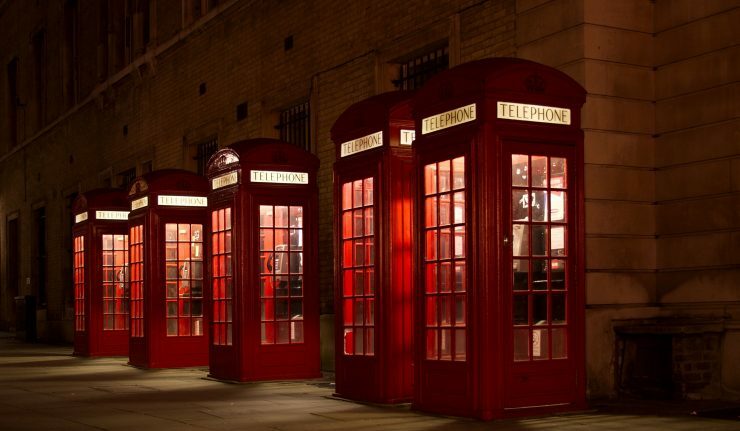 Big Ben is a tasty lemon curd tart, while the iconic red telephone box is a tasty rhubarb mousse. Oh and, of course, there are scones with jam and clotted cream. (Sadly not in the shape of City Hall, but they’re an essential part of afternoon tea so we’ll let them off.) Read all about it here. 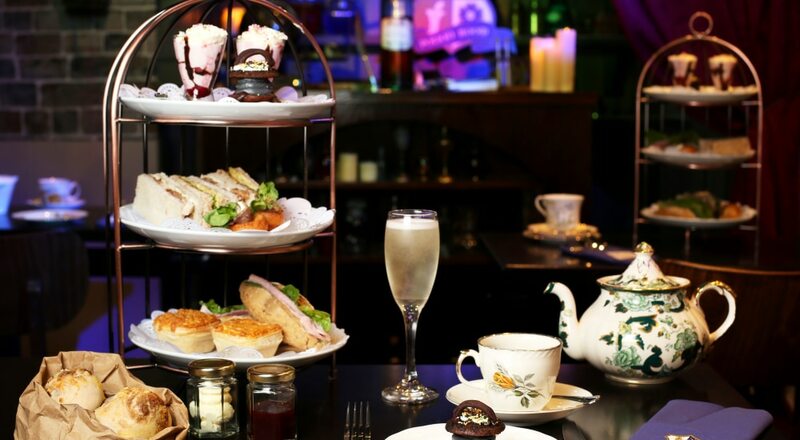 Price: The tea costs £42 per person or £54.50 with a glass of Perrier-Jouët. 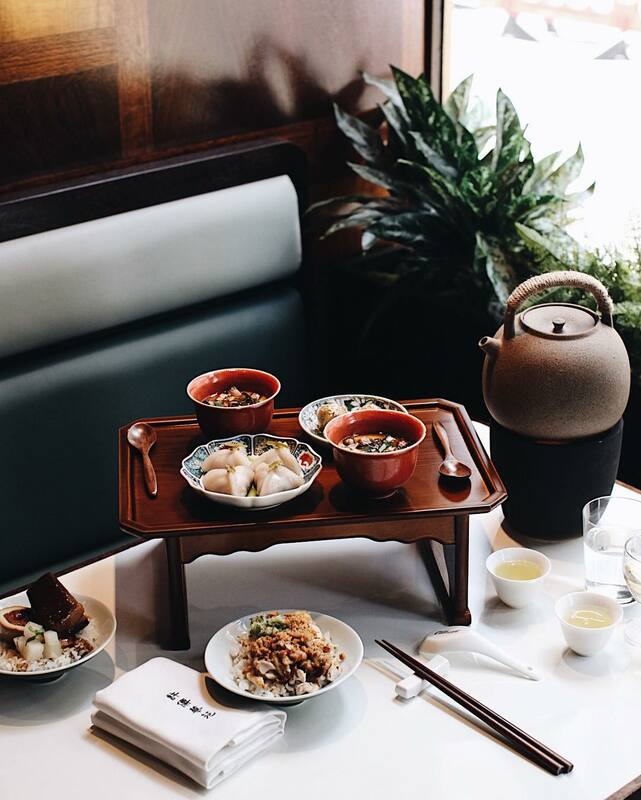 If you’re after something a little different but traditional nonetheless, head to XU’s Taiwanese Teahouse (run by the same team behind BAO), and be guided by their in-house Tea Master. Their traditional Afternoon Tea Ceremony will take you on a journey from savoury to sweet Taiwanese dishes, each paired with the perfect tea. The Tea Ceremony is available Monday to Sunday, 12–5pm. Where: XU Teahouse & Restaurant, 30 Rupert Street, W1D 6DL. 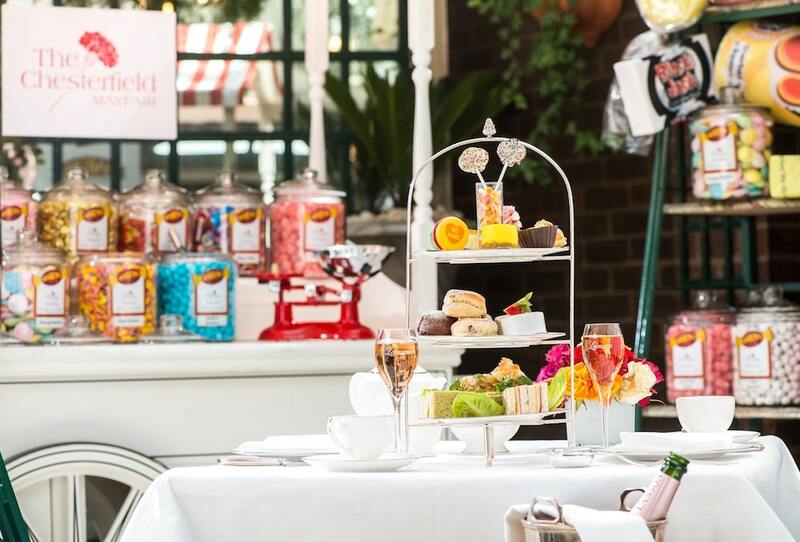 The Chesterfield has just launched the sweetest afternoon tea in London. Taking place in the hotel’s beautiful conservatory, filled with pick ‘n’ mix and jars of old fashioned sweets, the experience has a real retro vibe. Feast on finger sandwiches, scones, pastries and cakes, all inspired by an old fashioned sweetshop. Think Coca-Cola slices, chocolate fudge éclairs, peanut butter cups, rhubarb and custard macarons, and liquorice allsorts lemon cheesecake – it’s a truly nostalgic affair. 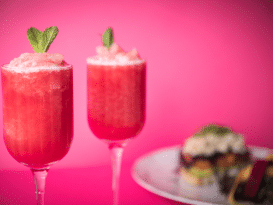 On top of it all, you’ll also be greeted with a magical welcome drink of homemade pink lemonade, floating within a cloud of dry ice and flying saucers. Where: 35 Charles Street, Mayfair, W1J 5EB. 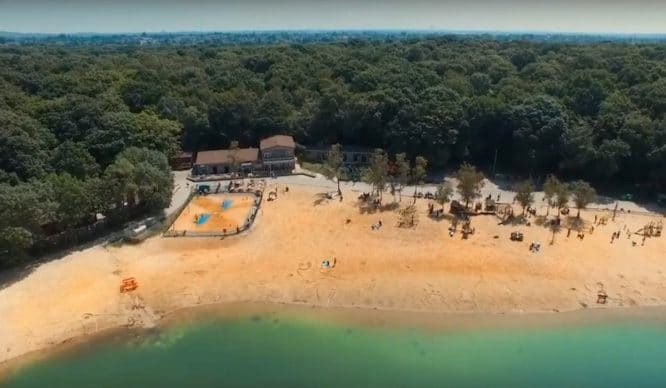 Price: £40 per person (£47 with a glass of Champers, or £21.50 for kids).